This is a robot - SAMMICH-Z. It is a warrior of justice. 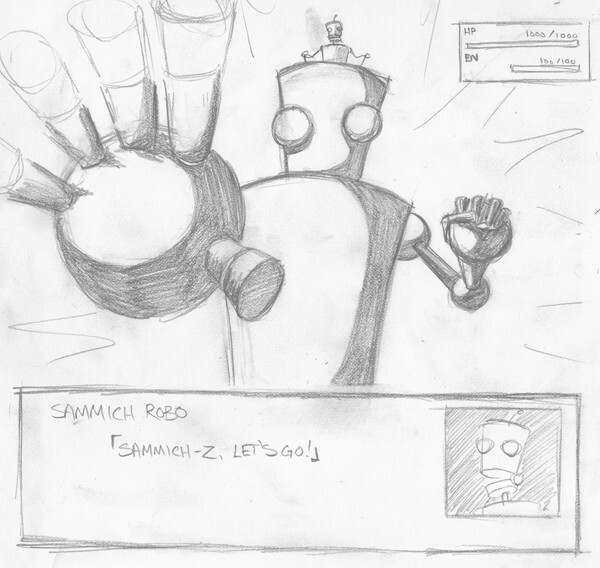 Sammich Robo and SAMMICH-Z fight for the future. All sammiches depend on this battle. Giant robots have no need for email.